Did someone at Panasonic just get a degree in design? After spending most of the last 15 years concentrating primarily on plasma TV tech, but also on producing arguably the most consistent picture quality across the board, the Japanese brand has suddenly gone all arty on us. This mid-range screen doesn't just boast a depth of 27 mm and a 'Narrow Metal' bezel around the screen that's barely 10 mm, but it is yet another Edge LED screen - and one of its first over the 37-inch size. We're not entirely surprised at Panasonic's change of pace in the flat panel TV market, but it's all a bit too much for our preconception of the brand as a rather conservative one. The latter characteristic shows up slightly in this 42-inch TV's operating system, which is pure old school Panasonic, but elsewhere it's all revolutions and riots. Its development of the VIERA Connect smart TV interface continues apace with the addition of not just a shopping zone, but also a web browser and a selection of games - and we're talking titles we've actually heard of, not just Sudoku and chess. Still, most of us will demand the likes of YouTube and BBC iPlayer, and those two are still the stars on an incredibly well-designed system that also includes Netflix, Picasa, Eurosport, Acetrax, BBC News, Facebook, Dailymotion, ShoutCAST radio and iConcerts. Thankfully, the TX-L42DT50B has Wi-Fi built-in as well as a wired slot, and there's a pricey add-on Skype camera option, too. Elsewhere on the Full HD TX-L42DT50B is a 3D option, though we're sad to say that no glasses are included. We're talking active 3D shutter glasses, too, so you'll have to shell out at least 70 quid to get just one pair. There is a crumb of comfort in the fact that from 2012 onwards all active shutter 3D glasses use RF, so are interchangeable… though that's only significant to those who have, ahem, more than one 3D TV. Digital TV fans intent on swerving the likes of Virgin or Sky can rejoice in the fact that the TX-L42DT50B has digital tuners for both free-to-air Freeview HD and satellite-based Freesat HD platform. That makes it a very rare TV indeed, and that goes double since this Panasonic - like all from the brand in 2012 - has Voice Guidance on board. Aimed at helping blind and partially sighted people navigate both the TV's main functions and the complexities of the Freeview and Freesat electronic programme guides, it pushes accessibility to the limit. It's not surprising and Panasonic was the first brand to introduce Audio Description to its TVs, but it's a welcome move since Voice Guidance also covers the TVs every-man features; recording from Freeview HD and Freesat HD (though not simultaneously), and the pausing and rewinding of live TV. Tech-wise the TX-L42DT50B is a step-up set, combining a Panasonic-made 200Hz Clear Panel Pro panel that encompasses both IPS-Alpha tech and Edge LED backlighting. That's about as high-grade as it gets in the LCD TV world. The 42-inch TX-L42DT50B is also available as the 47-inch TX-L47DT50B and 55-inch TX-L55DT50B, all of which are Edge LED-backlit LCD TVs. 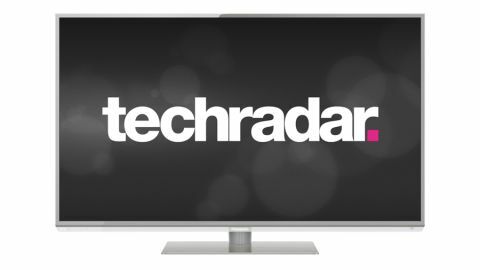 The 42-inch TX-L42ET5 stars in the ET5 Series, Panasonic's only attempt at passive 3DTV and which ships with four pairs of 3D glasses as well as VIERA Connect, Wi-Fi and DLNA networking. All other Panasonic Edge LED ranges with 42-inch screens use the active shutter 3D system, such as the high-end TX-L42WT50B in the WT50 Series (two pairs of 3D specs, Infinite Contrast, dual core Pro4 processor, web browser with Flash support, Bluetooth, and a Touchpad remote). That inclusion of 3D specs and a dual core processor are the demarcation lines between the TX-L42DT50B and TX-L42WT50B.